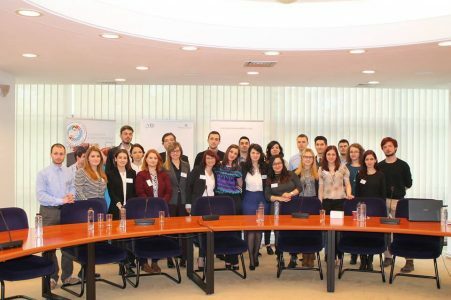 Young Ambassadors Forum has two previous editions that combined two strategic directions: global awareness and youth empowerment. 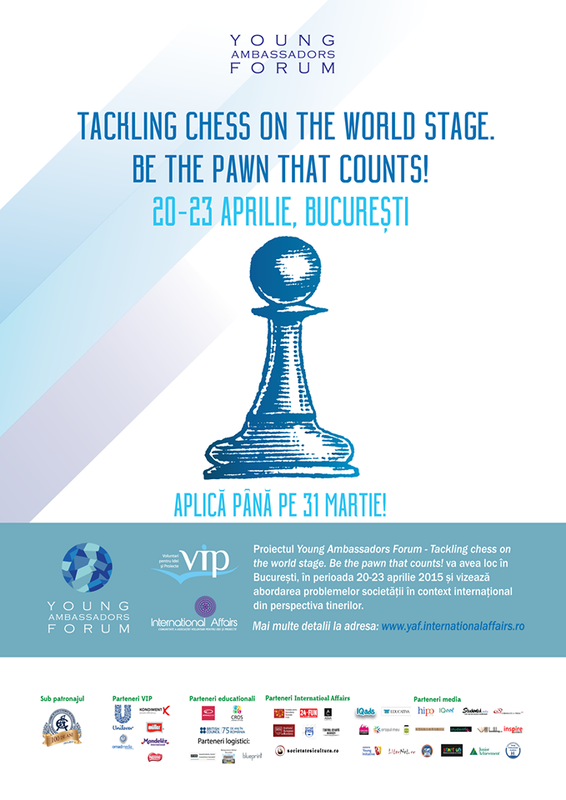 The 2015 edition, implemented by Denisa Bratu, former UN Youth Delegate, approached the topic “TACKLING CHESS ON THE WORLD STAGE. BE THE PAWN THAT COUNTS”. 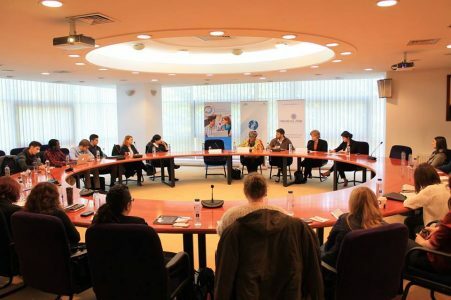 Including subjects varying from education to modern slavery and ICT (information, communication, technology), the project was a real success, benefitting from the institutional support of the Ministry of Foreign Affairs and His Excellency Mr. Bogdan Aurescu, former Minister of Foreign Affairs, as well as a number of embassies based in Bucharest: the Netherlands Embassy in Bucharest, the South African Embassy in Bucharest, Her Excellency Mrs. Paraschiva Bădescu, former Ambassador to the Organization for Security and Cooperation in Europe. 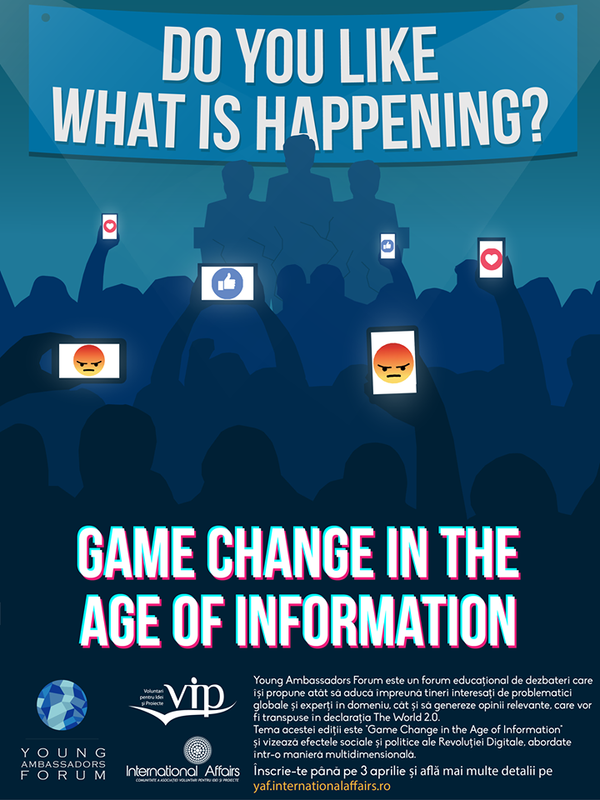 The 2016 edition was entitled “GAME CHANGE IN THE AGE OF INFORMATION”, focusing on the large panel of factors inherent in the Digital Revolution. 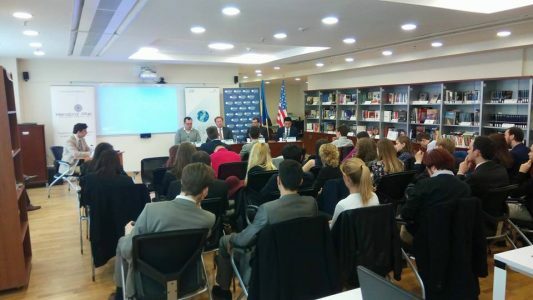 As the previous edition, the project was supported by leading institutional partners: British Council, Foreign Policy Romania, Aspen Institute of Romania, Agerpres, the National Press Agency, the Ministry of Foreign Affairs, the Institute for Digital Government, as well as the Embassy of the People’s Republic of China in Bucharest, the Embassy of Sweden in Bucharest and the Embassy of the United States in Bucharest.